King's-Edgehill School | A Dramatic Success! King’s-Edgehill’s first play production So Much Drama! was an incredible success. The talents of each student on stage helped to create a beautiful and hilarious combination of scenes, which was the product of dedication and hard work. With only two performances on March 29th and 30th, we were able to raise over $430 for charities that were chosen specifically by the students. We would like to thank everyone who came out to support the students involved, and we hope to continue seeing success with our School play. I would especially like to thank our committed backstage crew who spent tireless hours organizing props, configuring the lights and soundboard, and promoting our cast and crew in our weekly Newsletters. If not for your passion and interest in learning, we would not have gotten this show off the ground! Choosing the right private school for your child can be tough. 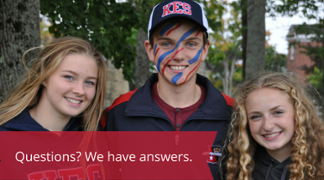 Find answers to popular questions about private schools in our ebook, Questions to Ask when considering private school.